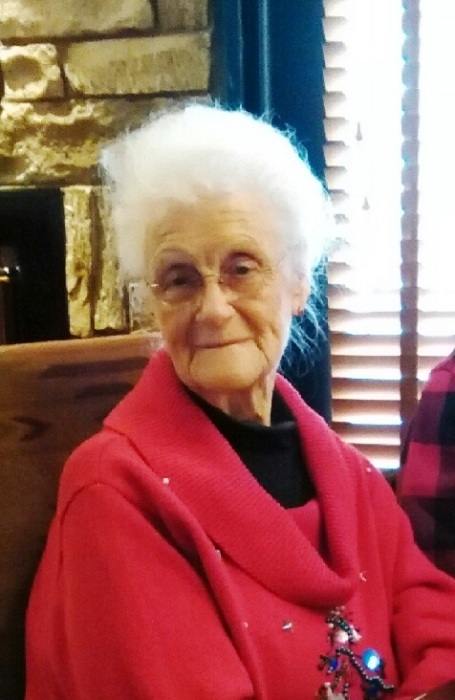 Elva Mae Howle, 89, of West Paducah, passed from this life and received her heavenly reward on Monday morning, March 18th, 2019 at Baptist Health of Paducah. Mae was a caregiver in her life and enjoyed being one. She formerly worked at Parkview Nursing and Rehab of Paducah, as well as Clausner’s Hosiery factory of Paducah. She also loved to travel as much as she could and loved spending time with her little dog, Ubu. Mae was also a member of Christ Community Church and loved her Savior. Mae is survived by two daughters, Lecia Verwers of Metropolis, and Brenda Hazzard of West Paducah; one sister, Peggy (Larry) Taylor of Sebastian, FL. ; two grandchildren, Jennifer Lopez of Paducah, and Audrey Stevenson of Paducah; seven great grandchildren; and several nieces and nephews. She was preceded in death by her husband, Lucian Howle; her parents, Coy and Myrtle Edmond Choat; two children, Jennifer Ingram, and Johnny Howle; and one brother and one sister. Friends may visit the family on Thursday, March 21st, 2019 from 11am until 1pm at Christ Community Church in West Paducah behind the Airport. Funeral services will start immediately following the visitation at 1pm with Rev. Tim Turner officiating. Burial will follow at Woodlawn Memorial Gardens. Memorial contributions can be made in her honor to the St. Judes Childrens Research Hospital in Memphis, TN.